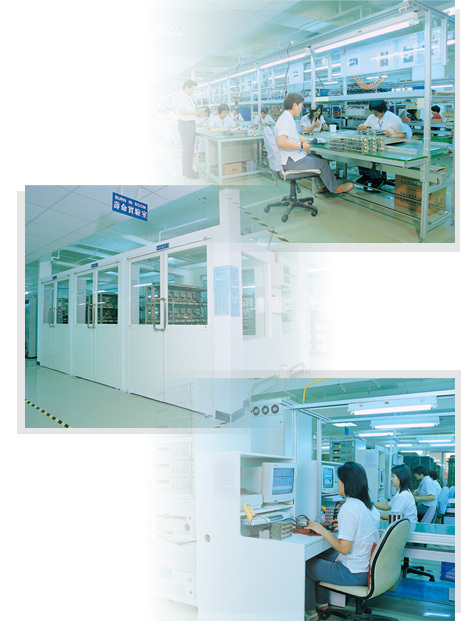 Established in 1986, Sunpower Technologies is focused on the objective to develop customized switching power supplies for industrial applications. From 1997, progressively, we invested new plants up to 59,000 square-feet factories with state-of-the-art equipment for R&D and production space. In view of the significance of the Quality Management System, we obtained ISO-9001 in 1999 and also implemented ISO-14001 in 2000 for the sake of environmental protection, health and safety at work. To cope with the market demand, in 1993, Sunpower began well engaged in the development of hot-swappable redundant power supplies and the industrial application’s power supplies, for instance, AC-DC SPS / SPP series and DC-DC SDS series. The high output wattage power supplies (over 1000watts) and DIN Rail power supplies were developed successfully in 2008 and the ATX power supplies for 80PLUS certified was planned as well. Furthermore, for the most parts of our products have acquired the recognition of the world’s safety agencies including but not limited to UL, cUL, TUV and CB. Since the day Sunpower was founded, the philosophy has always been centered on the “3B’s” (best technology, best quality, and best service), and most importantly, customer satisfaction. Currently, we have over 15% of its manpower working on designing and developing new products to react to customer demands with agility. Our website will be updated in the most timely to provide the newest product info. Of course, your comments and suggestions would be highly appreciated. Keep preventing the activities that could affect environment. Continue to reduce the energy loss and increase efficiency of product. Well control & manage exhausted chemical substances, drafts the urgent emergency measure and to execute, impels the promotion of environmental safety and sanitation. Documentary each environmental protect activities. Enhance each employee's environmental protect knowledge.